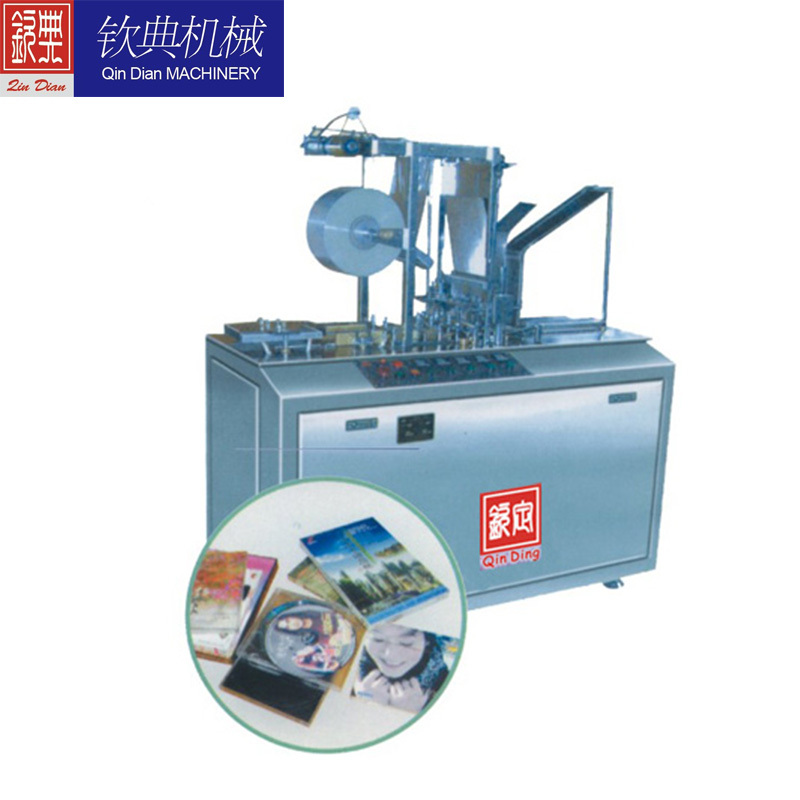 The cellophane overwrapping machine is used for overwrapping the square, rectangular product with a layer of cellophane（BOPP,OPP,PVC） the same as the packaging of cigarette. This machine is suitable for single packaging of various pharmaceuticals, condom, health-care products, food,confectionery, chewing gum, tea, coffees,chocolate,biscuits, perfumes, cosmetics, notepad, scratchpad,stationery, eraser,digital-media,VCD/DVD/CD cassette, Blue ray discs, tape, tobaccos, playing cards , napkin paper, etc. this machine is designed on the basis of adopting and improving the overseas advanced science and technology from Europe and Japan, adopting imported electrical components, with the advantage of stable and reliable operation、high speed、a firm packing, smooth and beautiful. It could do product feeding, film folding, heat-sealing, overwrapping and stick tear tape automatically. Changing few parts could overwrap different sizes of products. To choose this machine type, a low cost and cheap investment. Our company can also undertake to manufacture all special dimensions of packers for consumers.